Horse racing is referred to as the sport of kings, and it is certainly an apt name. Steeped in rich history, racing has been enjoyed by millions of spectators for hundreds of years. From the sandy beaches of Maui to the downs at Epsom, there is no more exhilarating sight than seeing four-legged beasts hurtle down the course at speeds of upwards of 40 miles per hour. Without betting, it would be very doubtful that horse racing would exist as a sport today. 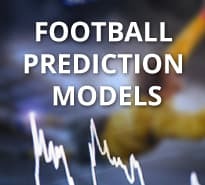 The betting industry underpins the sport, and although the formats may differ around the world, in the vast majority of countries around the globe, there is an inextricable link between the two. Sure, there would be some interested spectators if there was just horse racing, but in the words of one prominent bookmaker…it matters more when there’s money on it! Trying to decode each horse race is essentially a puzzle in its own right, and the beauty is that there is a plethora of racing action almost every day of the calendar. Horse racing betting is available at the track, in betting shops and most prominently nowadays, online. As with all sports, the chance a horse has of winning a race is represented by the odds the bookies have given it. In the next section we will get onto just how to bet on horse racing in more detail, so keep on reading. The rules, regulations and bet types when looking at placing money on horse racing vary around the world. Bookmakers from all corners of the globe have devised all sorts of weird and wonderful ways for bettors to have a financial interest in horse racing but let us start with the basics…. The most common and simple bet to strike is the ‘win’ bet. When the overwhelming majority of layers price up races, they are doing so to give odds on each horse’s potential chance of being victorious in a contest. So for instance, if a bookie gave odds of 9/1 10.00 +900 9.00 9.00 -0.11 for the horse ‘On the bridle’ to win, if a punter put £1 on, they would get £10 returned if the horse was successful. 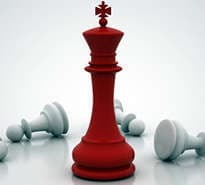 Most professional bettors operate by betting on singles. Another common single bet is an each-way bet. This is essentially two bets – one on the horse to win and one on it to be placed. The place terms are determined by the number of runners and race type but they are typically ¼ to 1/5th of the win odds. Bets that bookies love to take are multiple bets, such as Lucky15’s, Lucky31, Yankees and Super Heinz. These are where there are four or more selections and the available bets are covered. So for instance, in a Lucky 15, there are 15 bets – 4 singles, 6 doubles, 4 trebles and 1 fourfold. Horse racing odds come in many different forms, with fractional being the most prominent in the UK and decimal in Europe. There are other formats in the US and Asia, but ultimately, they all mean the same thing – the odds are the representation of the percentage chance of the horse winning a contest. Trading teams at different bookmakers often have contrasting views on the chances of horses in each race, and horse racing is one of those sports where there are often big discrepancies in odds offered by the layers. That doesn’t happen so much in other sports such as football, but when it comes to racing there can be some big differences. That is great news for customers – so long as the bookmaker is reputable and approved by SBO, then obviously the best way to make money is to pick the longest odds available for any horse. For instance, if ‘On the bridle’ was 10/1 11.00 +1000 10.00 10.00 -0.10 to win a race with one bookmaker, and 12/1 13.00 +1200 12.00 12.00 -0.08 with another, it would make sense to bet with the bookmaker who gives the horse less chance of winning (the one pricing it up at 12/1 13.00 +1200 12.00 12.00 -0.08 ). The main countries for horse racing around the world are England, Ireland, USA, France, Dubai, and Australia, and within these spots are some of the most prestigious races in the world with a rich heritage and history. Organised horse racing in its current form comes from England, where there are some fantastic ‘classic’ races. In total there are five of these Group 1 events in the British racing calendar, where all of the elite horses compete. They start with the 1000 and 2000 Guineas at Newmarket, where the top female and male horses respectively compete for early season glory. These races are followed by the Oaks and The Derby, with the latter probably being the most prestigious contest in the world. In the USA, the Kentucky Derby is a huge race, and the Americans also have the Breeder’s Cup meeting which is one of the richest festivals in the world and attracts some of the most talented equine performers. It would be remiss to neglect the top French, Australian and Dubai races. The French host The Arc, which pits all of the top middle-distance runners against each other in early October. Australia has the Melbourne Cup which is a stayer’s race that regularly attracts a number of British raiders, and in the Middle East, Dubai also hosts a carnival which offers connections the chance to win millions in prize money. All of the aforementioned races are flat contests, where the goal of the horses is simply to run from A to B. This is the most common form of racing, but in the UK and Ireland especially, National Hunt racing (aka jumps racing) is extremely popular, with the season in full flow over the winter into the spring. The Olympics of National Hunt racing is the Cheltenham Festival, which attracts huge crowds from all over Britain and Ireland. The most well-known National Hunt race is the Grand National – a marathon run over 4miles 4 furlongs. The Grand National is the race where those who only bet once a year will strike a bet, and viewing figures are always extremely high. There are so many great horse races and meetings each year which makes horse racing betting extremely exciting for punters. Choosing a bookmaker that offer best odds guaranteed on horse racing is a big plus. Just what is best odds guaranteed, and why is it important? Well, best odds guaranteed is a concession many bookies offer and it basically gives the punter a little advantage. With best odds guaranteed, if clients take the odds on a horse at the time they place a bet, then if those odds subsequently drifts and it starts at a higher price, in the event that the horse is successful, the customer will be paid out at the larger odds. In essence, it means the bettor gets the best possible price on a horse. When looking at horse racing betting and which bookie to choose, it is important to look at the banking aspect of affairs. Banking refers broadly to the deposit and withdrawal options available to punters, and more specifically what methods are available, what the minimum and maximums are and if there is any fee for using a specific payment type. Obviously everyone is different, but it is nice for bettors to choose a horse racing bookie that has plenty of options when it comes to payment types. Most sites offer debit and credit cards, and most have e-wallets, prepaid cards, bank transfers and more. Horse racing bettors should take into consideration the bonuses and concessions that the bookmakers offer when choosing which site to go with. Most firms now offer a sign-up bonus, but they vary in both monetary value and in terms and conditions. Those firms that have strict and sneaky rollover requirements for any first deposit that stimulates a bonus, should be avoided. We can help you look out for the right bookies who offer you great bonuses and continued loyalty and VIP concessions. With horse races typically only taking between 1-6 minutes to run, you would think it would be difficult to get live betting action on the Sport of Kings. That used to be true, but now several of the big operators are providing in-running live betting for horse racing betting. Why should bettors look for bookies that offer this? Well a couple of reasons; firstly in case they miss the start of the race and still want to bet, and secondly because a punter might like the way a race is unfolding and want to bet more on the horse they had already backed. Security has to be high up on every bettor’s list of attributes when considering which bookmaker to use. After all, there is no point in picking a bookmaker, depositing and winning bets, if you never get your money. Here at SBO, we take security very seriously and only recommend reputable and safe sites. When looking at a bookie, it is always important to check out where they are licensed. Furthermore, other security considerations should be the website. Horse racing is one of the most exhilarating sports to bet on, with most races over from start to finish within two minutes. The adrenaline is pumping with the opportunity to win big for a relatively small stake. 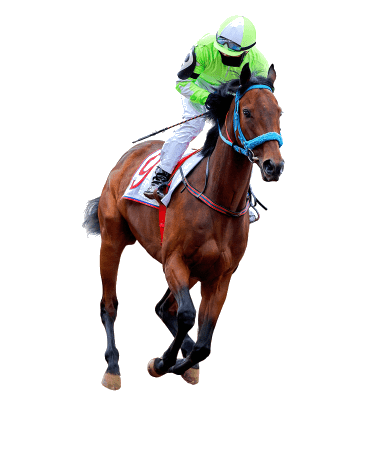 Online horse racing betting can be even more enjoyable when you are given the absolute best opportunity to make money from the sport, and if you follow our advice then you will be on the right tracks. We specialize in locating the most trusted online horse racing betting websites that give the best odds, strongest bonuses and top customer service. 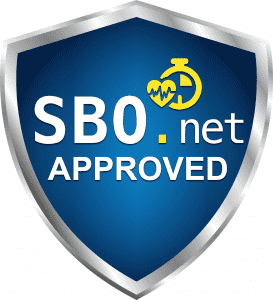 Only those firms that really go above and beyond for their clientele get the thumbs up from the SBO team, so what are you waiting for? Check out our list of the most highly-recommended horse racing betting sites, sign up and start making some money from the sport of kings. How Important Are Market Moves? When to Bet Each Way? Can I Place a Bet on Multiple Different Horses to Win? 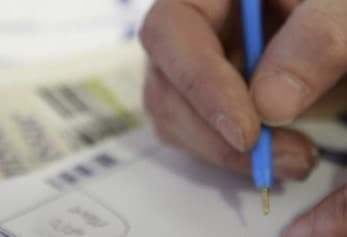 The answer is yes – 99.99% of bookmakers will accept bets with more than one selection, and the odds of each horse will then be multiplied to give a return. For instance, a £1 treble on three runners all priced at 9/1 (10.0) would return £1000! Do I Pay Tax on My Online Horse Racing Winnings? UK winnings are tax-free! Otherwise, it depends on which country you are betting in, your desire to declare any winnings, and the amount that has been won. However, in Europe it is unlikely you will have to pay any tax on your winnings. Is It Possible to Use Neteller to Bet on Horse Racing? Of course, it depends on which bookie you are using, but most firms now offer Neteller as a payment method. Check out our reviews to see which payment methods are available with our recommended bookmakers.